You have two options to determine how much insurance a defendant driver has in Virginia. The first option is filing a lawsuit against the driver. The second option is meeting Virginia’s statute that requires the defendant's insurance company to produce their insurance coverage if your medical bills exceed $12,500. If you've been in a car accident in Virginia due to somebody's fault, it's likely that you've been unable to find out how much insurance coverage the other driver has. You are probably frustrated because you are trying to determine whether they will have enough insurance to cover your personal injury claim. Don't worry, this is common. In fact, it's actually Virginia law. In Virginia, to determine how much insurance the at-fault driver has, you have to meet one of two criteria. The first is to sue them. But it's likely too early for you to want to do that. Some medical records establishing a link between the medical bills and your treatment. Once you have this information, the defendant's insurance company is required by law in Virginia to produce their insurance information. You may be thinking, "James, I don't have anywhere near $12,500.00 worth of medical bills from my car accident case." If that's the case, don't worry too much. If the defendant has insurance, he or she is required to have at least $25,000.00 in coverage under Virginia law. If you've got far under $12,500.00 worth of medical billing, it's likely that that should be enough to cover your claim. If it's not, you can figure out the defendant's coverage through the course of a lawsuit. 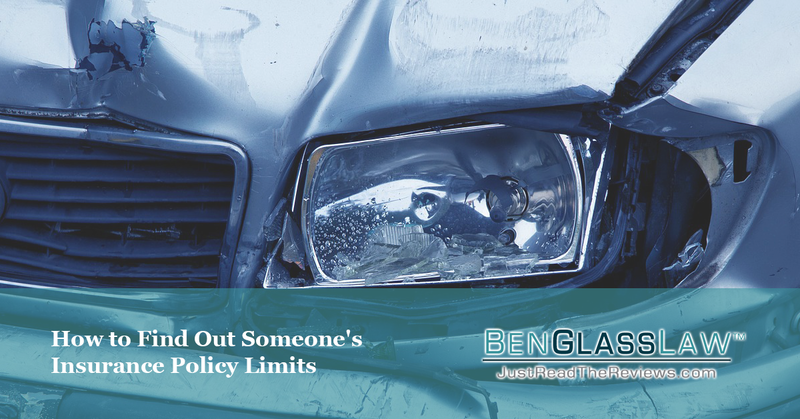 Additionally, you should also always check your own policy to see how much underinsured motorist coverage (UIM) you have under your own auto policy. If it turns out that you have more coverage than the defendant, you can tap into your own policy for additional coverage and it will not hurt your insurance premiums.